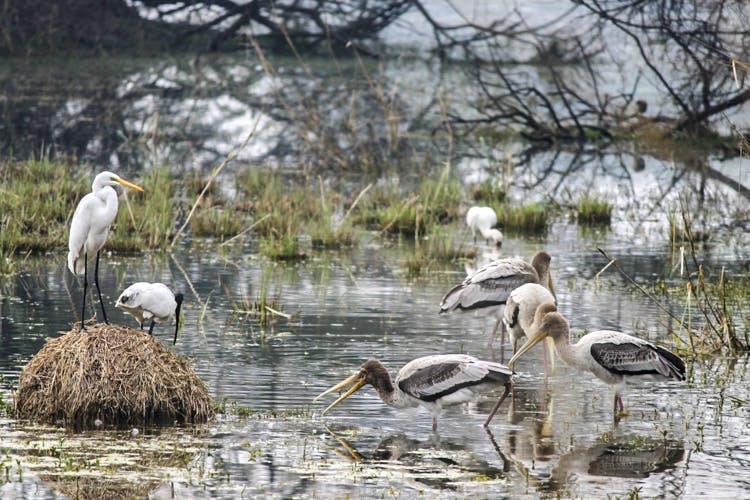 While our preferred time to visit the sprawling Sultanpur National Park for some good ol’ bird watching would be somewhere around monsoon, right now isn’t too bad either, as you can spot plenty of rare migratory birds making their way back north here. We’d recommend anybody interested in bird watching to make a day out of this one, though it doesn’t mean those not interested in the feathery goodness of our avian counterparts won’t find it to be a worthy visit too, given how beautiful and green the park is. There’s no telling what species of rare birds you might stumble upon here, but some commonly spotted ones are Common Hoopoe, Paddyfield Pipit, Purple Sunbird, and Little Cormorant. It’s a peaceful place to walk around in general, with plenty of greenery as well as the lake to keep you company. If you want to carry your camera, you’d have to pay a nominal fee, though there’s really nothing else you need to know to go here.